European Court of Human Rights finds that calls to boycott Israel or her products are discriminatory and punishable. On the same day that the Hizb ut Tahrir of America Conference demonstrated that the enemies of Zionism are Jihadists, the far-left emerged online, revealing the video of their vandalizing Trader Joe's products made in Israel on June 20th, which they called National Don't Buy Into Apartheid Day. While Trader Joes' prepared for a chain-wide alert, only S.F. Bay Area and Sacramento stores experienced vandalizing. The vandals defaced store merchandise with their propaganda stickers, making them unsellable. Trader Joe's store management were passive to the dispoiling of their merchandise and did not demand payment from the leftists for it. Despite warnings by employees to refrain from in-store videographing, the vandals filmed their encounter with the manager who did not stop their filming - and even wished them luck with their campaign to stop Trader Joe's to carry products from Israel. The court held the view that France's former Mayor of Seclin, Jean-Claude Fernand Willem, who initiated a boycott of Israeli goods was not convicted for his political opinions, "but for inciting the commission of a discriminatory, and therefore punishable, act. The court found that interfering with the former mayor's freedom of expression was necessary to protect the rights of Israeli producers. Paul Shaffer's top 5 reasons to involve yourself in "lashon hara"
British Colonel observes: "The IDF does more to safeguard civilians than any other army"
Col. Richard Kemp, Former Commander British Forces in Afghanistan, spoke at the conference "Hamas, the Gaza War, and Accountability under International Law," hosted by the Jerusalem Center for Public Affairs 18 June. Col. Kemp reviewed the difficulties of any kind of warfare, but emphasized the challenges faced by Israel when fighting a terrorist organization that purposefully rejects and defies international law. "But what of the Israeli Defense Forces? The IDF face all the challenges that I have spoken about, and more. Not only was Hamas's military capability deliberately positioned behind the human shield of the civilian population and not only did Hamas employ the range of insurgent tactics I talked through earlier. They also ordered, forced when necessary, men, women and children , from their own population to stay put in places they knew were about to be attacked by the IDF. Fighting an enemy that is deliberately trying to sacrifice their own people. Deliberately trying to lure you in to killing their own innocent civilians. During the conflict, the IDF allowed huge amounts of humanitarian aid into Gaza. This sort of task is regarded by military tacticians as risky and dangerous at the best of times. To mount such operations, to deliver aid virtually into your enemy's hands, is to the military tactician, normally quite unthinkable. But the IDF took-on those risks. But the IDF still did not win the war of opinions - especially in Europe. The lessons from this campaign apply to the British and American armies and to other Western forces as well as to the IDF. Annual awards banquet and installation of officers. Held June 16, 2009 at Sephardic Temple Tifereth Israel, Los Angeles. 2009 Award recipients: Award for Professional Excellence in Fundraising: Karen Schetina; Mark Meltzer New & Innovative Prgramming Award: Marsha Katz Rothpan; Alan Kassin Award for Outstanding Professional Achievement: Miriam Prum Hess; Dora & Charles Mesnick Award for Excellence in Senior Programming: Karen Leaf, Susan Leitch; Bobbi Asimow Award for Professional Mentorship: Rhoda Weisman (featured); Career Achievement Award: John Fishel (featured); President's Message: Michael Hirschfeld (featured); Installation of 2009-10 Officers: Mark Meltzer (featured). July 3 - Toronto — Gene Simmons says he's heard enough celebrity tributes to Michael Jackson, and wants to hear from the kids who accused the late pop singer of molestation. Simmons, the bassist/vocalist for classic rock stalwarts Kiss, says he's less interested in Jackson's talent than he is in accusations that the singer molested young boys. "I want the kids who've accused him, to be blunt, of molestation, to have their say," Simmons told The Canadian Press in a telephone interview from Los Angeles on Thursday. Simmons, who's a popular - and reliably outspoken - reality TV star in addition to a rocker, said he initially declined to provide his opinion on Jackson, but that enough time had elapsed since the singer's death for him to break his silence. Simmons said he knew Jackson roughly 26 years ago. 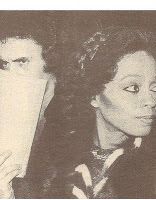 At the time, Simmons was living with Diana Ross and found Jackson to be "charming and shy and self-effacing, you know, very pleasant, obviously talented." Jackson paid millions of dollars to settle out of court with a 13-year-old who accused him of molestation in 1993, Simmons noted. "I want to know what that boy has to say," Simmons said. "So while it's sad that (Jackson) had this sad life and I understand, that's horrible - Michael's not the only victim. I want to know what these boys have to say."